Puma Energy’s core activities in the midstream sector include the supply, storage and transportation of petroleum products. Puma Energy’s activities are underpinned by investment in infrastructure which optimises supply chain systems, capturing value as both asset owner and marketer of product. Puma Energy’s downstream activities include the distribution, retail sales and wholesale of a wide range of refined products, with additional product offerings in the lubricants, bitumen, LPG and marine bunkering sectors. 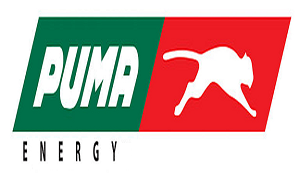 Puma Energy currently has a global network of over 2,000 retail service stations. Puma Energy also provides a robust platform for independent entrepreneurs to develop their businesses, by providing a viable alternative to traditional market supply sources. Take charge of daily routine electrical checks on substations equipment plans, safe shutdown of any power-related jobs, and ensure all electrical safety procedures are followed such as LOTO and PTW to ensure proper isolation is done prior to any power-related works. To also communicate with power authority (TNB and other dept. on power related issues). The position is for contract employment. Candidates must be fluent in English and Bahasa Indonesia. Make sure power supply at Terminal Plant are in good condition. Follow up with TNB when power supply from TNB break down. Preventive Maintenance electrical panel and starter panel. Supervise contractor do, repair work and /servicing work. Making planning job for daily electrician works. Update all electrical PM form. Inspect all electrical tool contractor need to use in plant. 3-5 years’ experience in Electrical & power. Computer literacy: Microsoft Office applications. Bilingual: English and + (depending on location). Qualified candidate should submit an application letter together with comprehensive curriculum vitae within 14 days. Please apply this job via link below. Thanks for reading Puma Energy Jobs: Electrical Technician. Please share...!